Seventeen-year-old Brinlee is a modern girl living in Idaho. When she discovers a secret portal in her attic bedroom, Brinlee accidentally swaps places with the main character from her favorite fairy tale, Cinderella. Lost in Cinderella's world, Brinlee threatens to ruin one of the world's greatest love stories. New mysteries surround the characters of the beloved tale, and Brinlee is determined to uncover the secrets. Once she entangles herself in the affairs of Cinderella's family and meets not one but two dashing men, can she keep this celebrated romance on track? 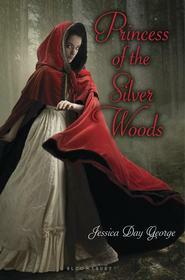 This book is first in a series of fairy-tale reinventions. Tarrah Montgomery has loved writing stories since she was a child. She earned an associate’s degree from Ricks College, and a bachelor of science in education from Utah State University. Tarrah lives in Arizona with her husband, Ryan, and their five children. She loves to travel, and many of her story ideas have come from seeing ancient castles and architecture around the world. Some of her adventures have taken her to Paris, London, Rome, Germany, Austria, Switzerland, Czech Republic, South Korea, Thailand, Jamaica, and Costa Rica. Tarrah teaches preschool and enjoys reading, spending time with her family, and playing the piano. The Princess and the Pesky Pea is the fifth and final book in the Princess Chronicles. The other books in the series include I’m Not Cinderella (2013), Finding Sleeping Beauty (2015), Rescuing Rapunzel (2016), and Beauty and the Teenage Beast (2017). What a great way to start the series. Cinderella is one of those stories that touches your heart, and this retelling was exactly the same. I loved it!! I love how this story grabs your attention from the start. It was a cute repelling of a classic story. I loved all of the new angles that we're added to the story. We'll done. Thank you for writing such a fun, clean book. Love this story! The author has done impressive research on the time of Cinderella and the various Cinderella stories. This is a fun read. This was an absolutely wonderful Cinderella story! A great book from start to finish! What young lady doesn't dream of being Cinderella or finding their own Prince Charming? Once I started reading I couldn't stop until I was finished. I look forward to reading many more books from this gifted writer, who can make dreams come true : ). This was an amazing story. I loved the good clean romance, mystery and adventure in this story. I liked the little parts of different Cinderella stories from history all over the world. Great story for young girls and adults. I loved the twist and can't wait to read the other books. I could not put this book down. It's a must read. WOW! This book is WAY BEYOND GOOD! I purchased the book simply because I fell in love with the cover! Then I saw the word Cinderella on it and knew I wanted to read it! Then I saw the title "I'm NOT Cinderella" and knew it would be a 'twist' to the story that every girl loves and I was hooked! The story that unfolds is everything I imagined it would be and so much more! When Brinlee stumbles upon a hidden door in the attic she just happens to meet the real Cinderella. And when the magical door closes Brinlee and Cinderella find that they have traded places. Brinlee has a chance to live out her most favorite fantasy...Prince Charming and all...but in doing so will she somehow change her most treasured fairy tale? Find out what happens to Brinlee as she tries to tell everyone "I'm NOT Cinderella." It's a book you will want to read over and over again! I LOVED this book! Right from the beginning, I was completely hooked. I could not put it down! I absolutely loved all of the references to other traditional Cinderella's; what a neat idea. I was caught up in the characters. I cant wait to read more from this author! I am actually reading it again. Love it!